"Ed" Loebs passed away peacefully at home in Suisun City on January 10, 2019. He is survived by his wife of 52 years, Nancy. 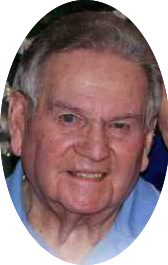 Ed was the father of three children and six step-children; he also had 18 grandchildren, 14 great grandchildren and one great-great granddaughter. A native of Berkeley, CA, he served in the US Navy during WWII and was a retired plumber/pipefitter. Memorial services will be 11am, Friday, January 25, 2019 at the Church of Jesus Christ of Latter-day Saints, 806 Travis Blvd., Fairlfield, CA. Private inurnment at Sacramento Valley National Cemetery, Dixon, CA. Memorial gifts may be made to the American Cancer Society. Please offer a condolence message by clicking on the TRIBUTE WALL or GUESTBOOK.